Getting My Ne-on with the Neon Spiderfoot! For this post I have teamed up with the amazing Lala who also happens to be one of my favorite ladies in SL! We each took our own pics, and she did all the heavy lifting, so if you want to see her photos and the decor info be sure to check out her post here! CHECK OUT LALA’S CREDITS HERE! BADA, CandyDoll, Imeka + More! N Uno, Stealthic, Narcisse+ More! photos taken at Beautiful 4 Seasons. Epic, Narcisse, VCO + More! 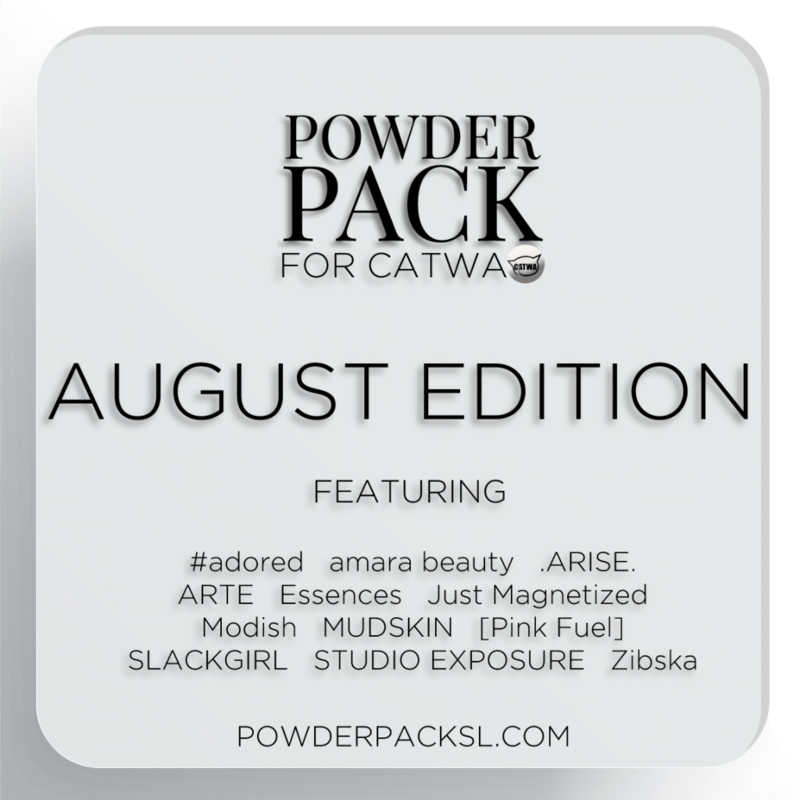 Powder Pack for Catwa AUGUST Edition reservations are NOW OPEN! You can reserve in-world or on the marketplace between the 18th and the end of the month. Your Pack will automatically be delivered to you immediately on JULY 1st early SLT time. photos taken at Meraki Islands. This round of SaNaRae is sooo good! The new build is beautiful, too!